“You don’t know what you don’t know,” is an adage as old as time, but for government there is a new twist: how do you protect data that you don’t even know exists? With data being produced at an unprecedented rate, it’s nearly impossible for federal agencies to catalog, store and properly maintain it. 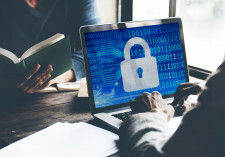 In addition, agencies are under increasing pressure to meet strict cybersecurity and data protection mandates, like the Continuous Diagnostic Mitigation (CDM) Program. So how can you identify and monitor the full scope of your data? Join us online on Thursday, December 13th at 2pm ET as our experts share how agencies can undertake a three-part process of data discovery, classification and governance to better protect their data and comply with the CDM program. Specific emerging technologies and methodologies that can help agencies become more secure in 2019. How federal agencies can best find and secure sensitive data within their environments. The biggest hurdles still facing agencies looking to secure their data.